Cat in grass observing his prey 4K. 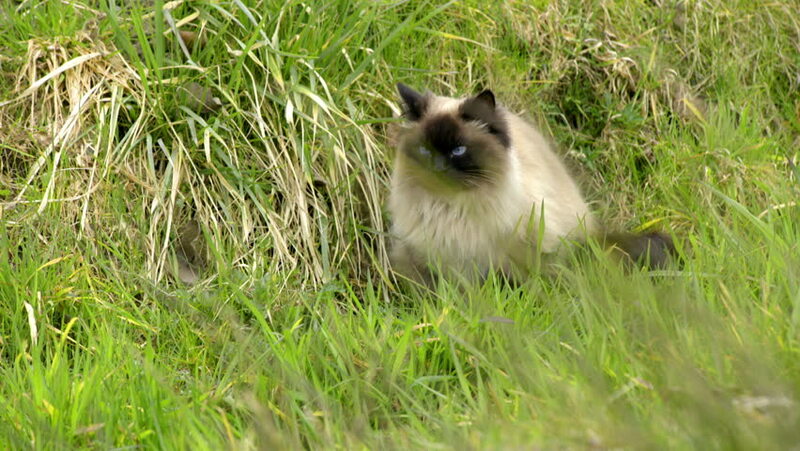 Wide shot of Birman breed cat outside in nature hunting pray. Green grass with sharp cats eyes looking for target. hd00:21Cat in grass observing his prey HD. Wide shot of Birman breed cat outside in nature hunting pray. Green grass with sharp cats eyes looking for target. hd00:18Closeup portrait of cute face of small orange dog laying on green grass outdoors and smelling something in air with its nose. Real time full hd video footage.